Evergreen perennial. 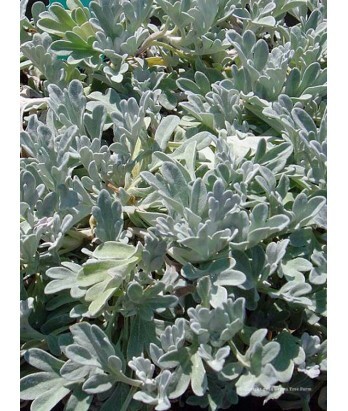 Broad, deeply-lobed, silver leaves form a low mound on this showy variety. Yellow flowers are insignificant. Deer resistant. Light to moderate water needs in well-drained soil once established. Hardy to 0°F and below.